Slam Dunk Festival have added 4 bands to its line-up. The Devil Wears Prada, Astroid Boys, Brutality Will Prevail and Loathe will join Every Time I Die, Northlane, Comeback Kid, Crown The Empire, Counterparts to make up the Impericon stage. They join the likes of Good Charlotte, Jimmy Eat World, State Champs, PVRIS and SO many more. We offering a band the chance to join Palaye Royale, Sleep On It, Stand Atlantic and Grayscale on the Rock Sound Breakout stage. 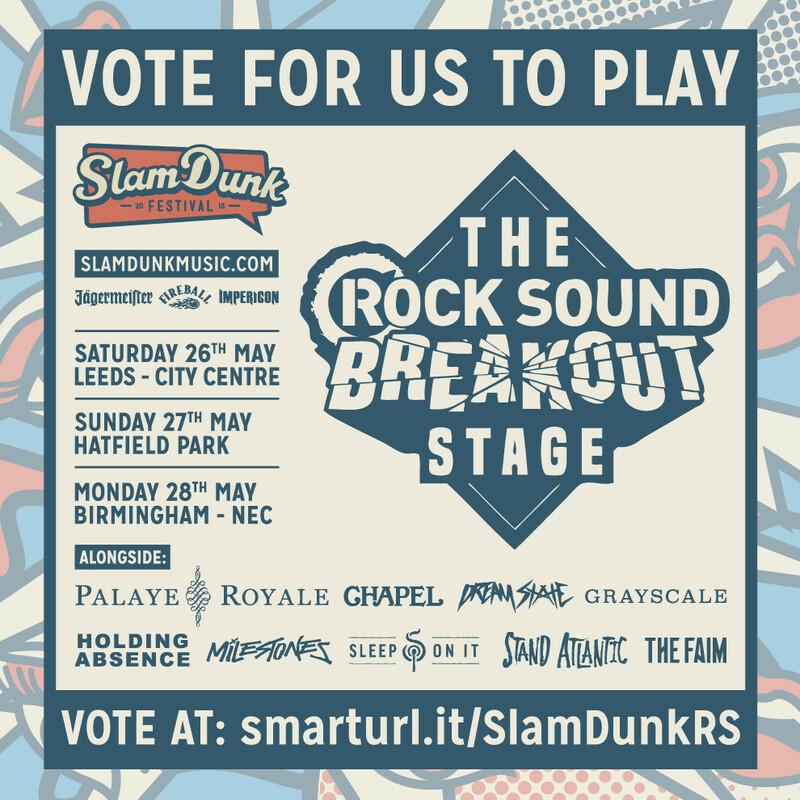 Just head to smarturl.it/SlamDunkRS and get voting!